Mantra Tattoo studio is home of some of the best tattoo artists in Denver. Being a tattoo artist is not an easy job, one needs to have endurance since there is no school for tattoo artists. It is necessary to make an internship with a senior tattoo artist. Usually this internship will take at least two years before the apprentice can start tattooing. Almost none completes the first year. This apprenticeship can cost him from work around the studio to thousands of dollars before even thinking to tattooing anyone. Ii is a long road but also highly compensated, especially if the artists keeps developing his skills by finding inspiration in new styles and constant practice. 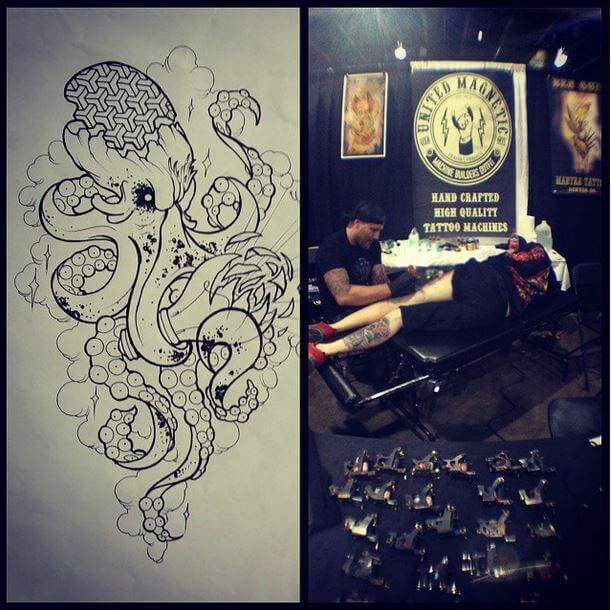 At the best tattoo shop in Denver there are some of the best tattoo artists in town. Ben Gun is just one of them, highly recommended by all his customers as a professional, laid back and gentle handed. 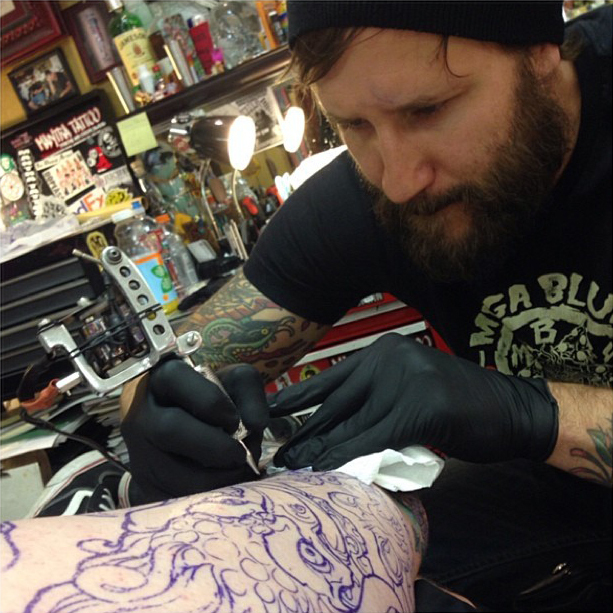 Ben works in Colorado, Las Vegas and around the world; his style is full of color and his lines are impeccable. If you have some ink done by Ben be ready to be stopped to be asked about it. Come and visit Ben at Mantra for some new ink! Not only is Ben one of the best tattoo artists In Denver, he also makes custom made tattoo machines upon request, making him a fully involved artist. Ben and company are waiting for you, don’t let them down!